Early foragers would have been attracted to the area for the abundance of game and rich pickings of nuts and fruit. Later they settled down in the area which became Melbourn and the hamlets that later joined to make the village of Meldreth. These settlers started taming the waters and the land. Water would have been essential for their very existence. Crops needed to be irrigated, animals watered, food cooked and ale and spirits made. And clothes washed; there was a steam laundry, using water from the river, near Sheene Mill in the early part of the 20th century. Credit: A Glimpse into Melbourn’s Past. Maybe some of the settlers even washed in the river! In fact, the river was still the main source of water for the villagers until piped water arrived. For some, this wasn’t until the 1950s. 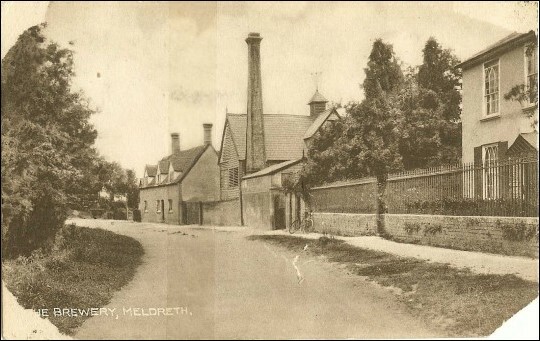 Surprisingly the introduction of piped water to Meldreth was not welcomed by everyone; one prominent member of the community, Mr H.O Ellis stated, “It’s not going to end here, it will be a ‘Sewage Farm’ next.” And he was quite right! 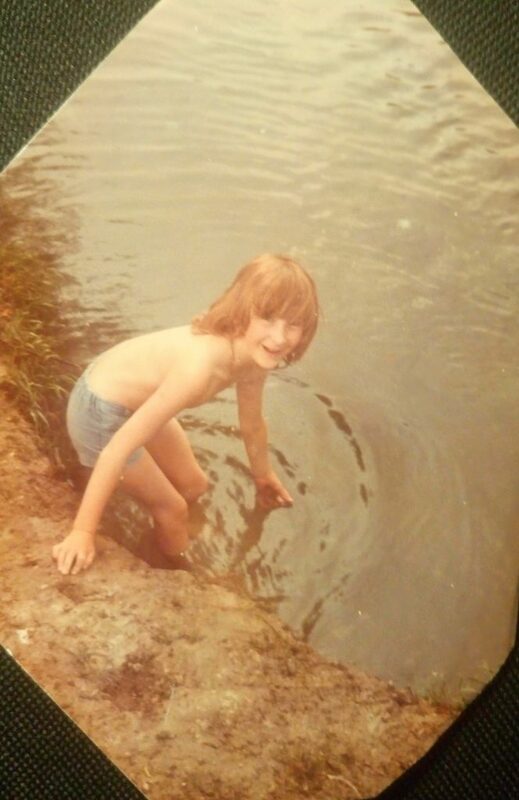 We have heard of someone still washing their clothes in the river in the 1970s. 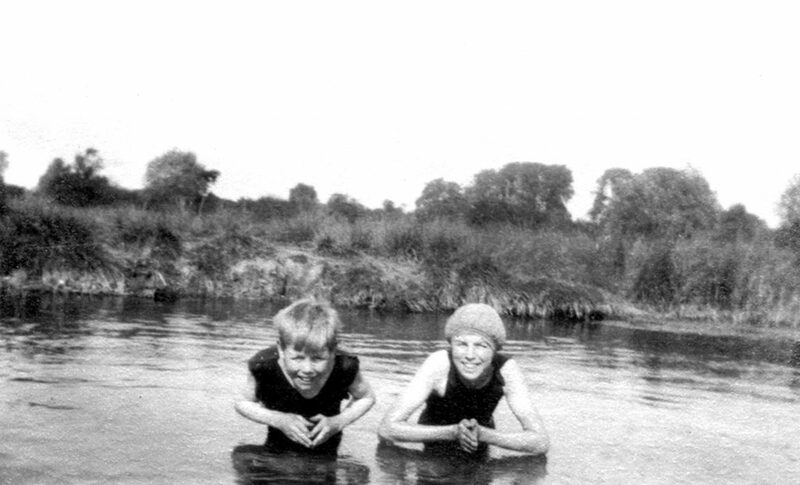 The river would also have been a source of fun. 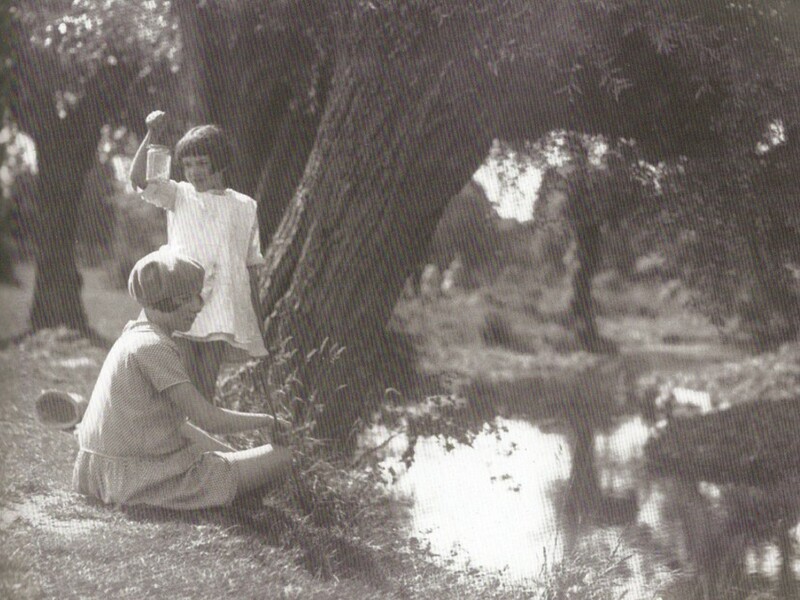 Local residents who shared their experiences of the Mel River when they were children described a river that seemed more active than it is now, with memories of happy hours playing in and around the Mel. Chris Duguid exclaimed, “this was our playground!” Many remembered swimming in the Mel, especially enjoyable when there was a very hot summer, like 1976. People remember it being much wider then. Dam and bridge building were common entertainment. Log bridges were deliberately shaken to tip the person into the water, causing a great splash and soaking the watching children. The accounts indicated that there was a lot of falling in! These activities still take place, especially during the summer holidays. One of the autumn jobs for the Restoration Group is to remove these constructions, often creatively designed, to restore a strong flow. 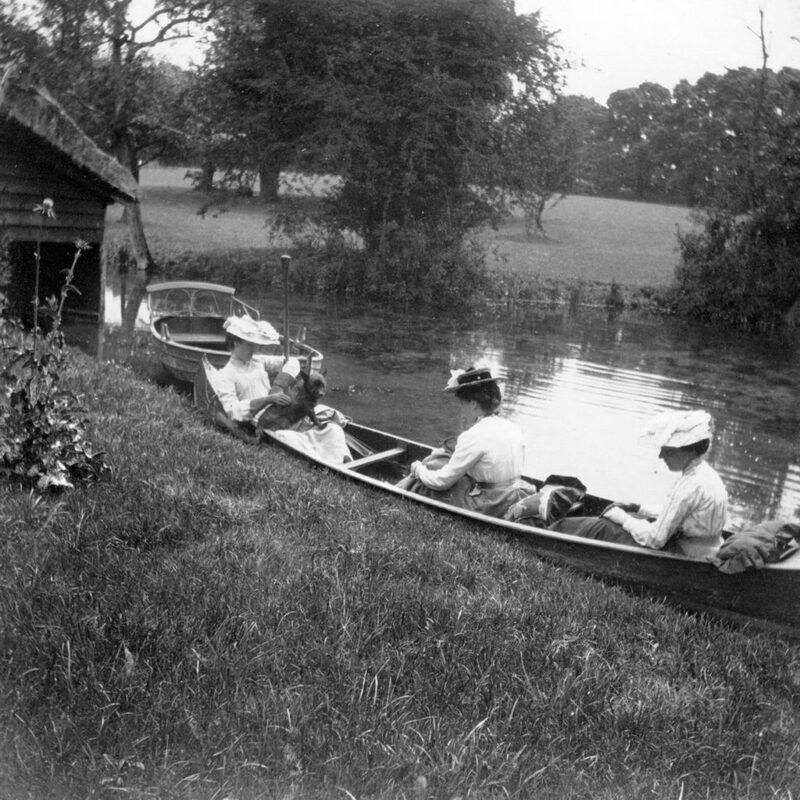 The Court (a house in Meldreth near Topcliffe Mill) had a boating lake and boats were also used on the Bury lake. The pictures show ladies reclining under elegant parasols, reminding us of a more leisured past. Many local residents remember floating down the river in improvised ‘boats’. Molly Chamberlain remembered trying to travel in a galvanised bath, but unfortunately it had too many holes! Someone else described how they had travelled from Sheene Mill to Topcliffe mill on two World War II aeroplane oil drums tied together. 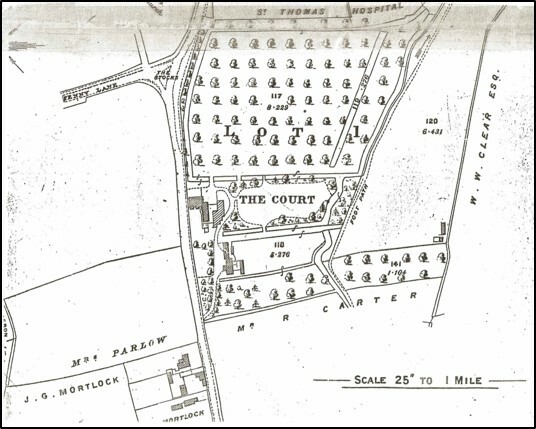 Chris Duguid told of her adventures “paddling on tractor tyres from the bottom of Woolpack Way, and you could get quite a long way up towards The Court.” However some homeowners were keen to protect their land adjacent to the river. Another pastime for the gentry was otter hunting, possibly important to ensure a supply of fish. 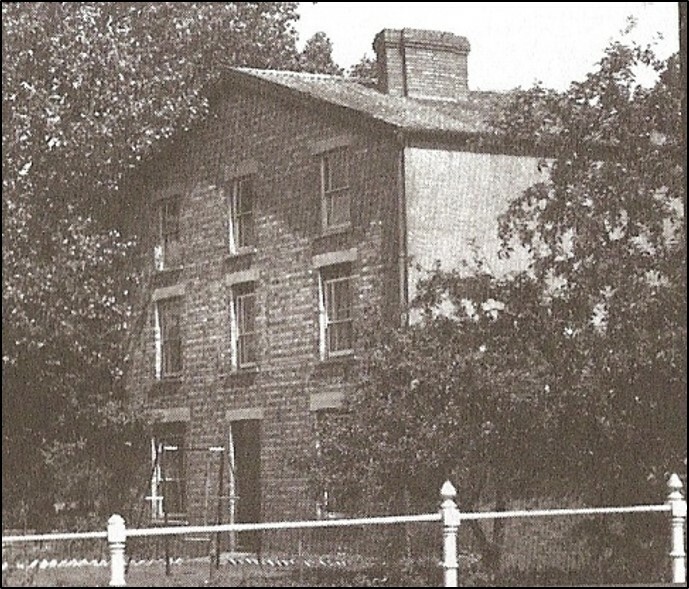 In the late 1950s, otter hounds were housed on the river at Longmead, 90 High Street, Meldreth. Another source of fun related to the river was the brewing and drinking of ale, later beer, and possibly spirits. Many houses in Dolphin Lane in Melbourn, situated on the Mel, were brew houses in the nineteenth and twentieth centuries, with home-brewed beer sold from their front windows. Perhaps it is not a surprise that the temperance-inclined Methodists had a chapel here, which was then taken over by the Salvation Army. Spirits from the abundance of fruits were probably also made – a rather different spiritual aspect of the river! However it would not all have been enjoyment. 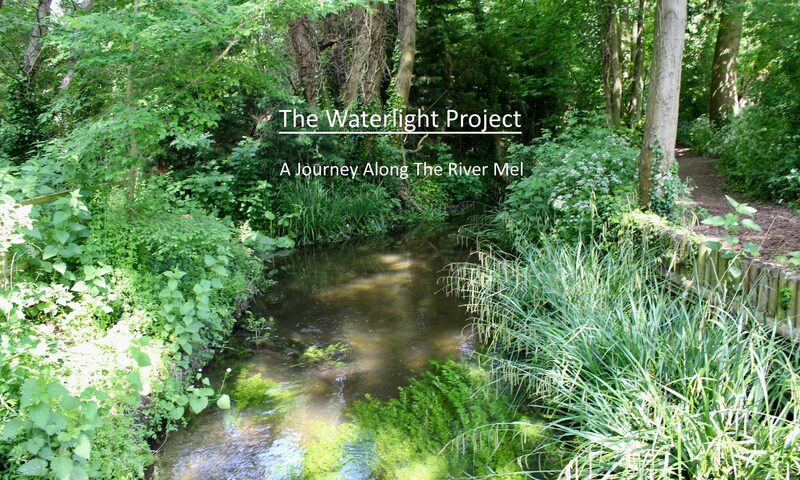 Humankind has always tried taming the waters and making use of its waterways and the Mel has been no exception. Maybe we moved from working with water to working on it. The river had 9.5 mills listed in the Domesday Book (8.5 of these in Meldreth) and these would have played their part in taming the flow. The Domesday book counts half mills — possibly because the ‘mill’ was shared, or somehow only taxable on part of it. It’s likely that a mill referred to the machine, rather than the building itself — so a single building containing multiple sets of millstones would have been recorded as several mills. Mills played an important part in village life, with all the manorial residents of the villages required to have their grain ground at the manorial mills. The Topcliffe manorial court rolls are full of fines levied against people who had their corn ground elsewhere. The miller was an important person in the community, with a particular set of highly valued skills. Fire was a significant danger as the corn husks and dust were highly flammable and the mill buildings were often wooden. Flambards Mill in Meldreth did burn down in 1910 (although by then it was a steam mill) so it was then known as the Burnt Mill. Topcliffe Mill at North End Meldreth has been extremely well restored and is sometimes open for the public to view the complex workings. Ditches and other watercourses flowed from the Mel and in the surrounding landscape. 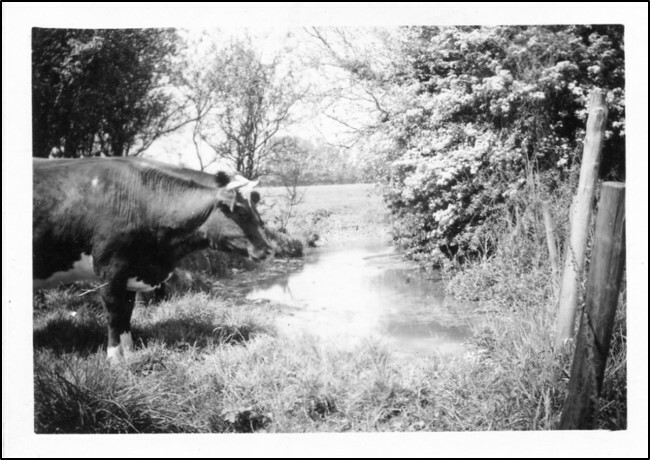 These were important for agriculture and the Enclosure award document for Meldreth details the responsibilities on landowners for keeping watercourses in good condition, demanding that they “shall for ever hereafter be cleansed scoured and maintained”. 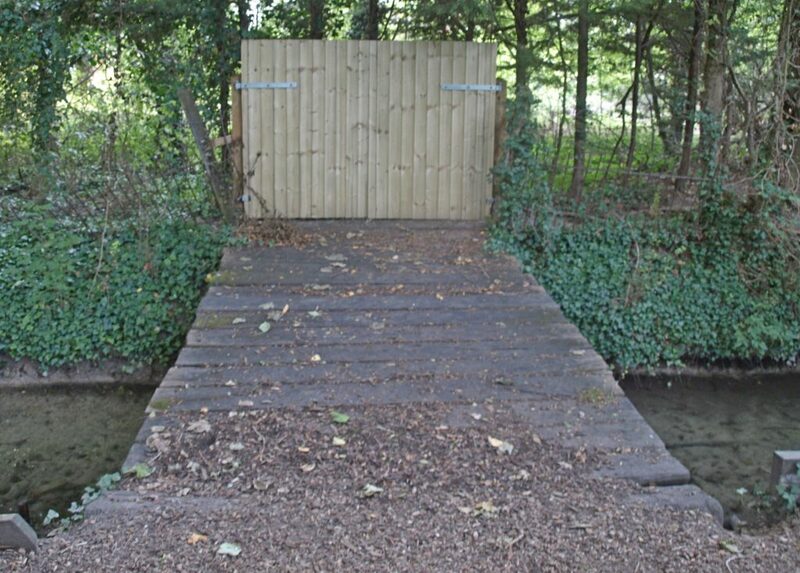 There was also a requirement for bridges to be kept in good order. Other ways of taming the waters related to the formation of water meadows in the seventeenth century, to make use of the valuable fertile silt from rivers. There is evidence of these meadows around the Mel. One example is The Meads, at the side of the footpath from Melbourn to the station. Osier beds were another man-made landscape alteration which affected the river. They produced willow for baskets, cricket bats and thatching and were common around the Mel. One is still in existence between Dolphin Lane and the A10. The boating lake at The Court would also have diverted water from the main river.